Literary manager | Producer | Ken Atchity: Check Out HOLLYWOOD HUCKSTER by David Garber It’s the Hollywood celebrity tell-all that picks up where all the other tell-all’s end! Check Out HOLLYWOOD HUCKSTER by David Garber It’s the Hollywood celebrity tell-all that picks up where all the other tell-all’s end! 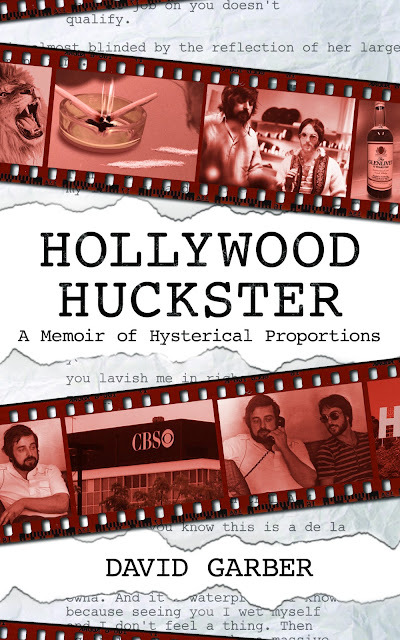 David Garber's outrageous tell-all “HOLLYWOOD HUCKSTER” is the true story of the television and film industry from the mid ‘70s through the mid ‘80s. The pot-smoking, acid-dropping, counter-culture students of the turbulent ’60s were bringing their skewed comedy, irreverent attitudes and anti-establishment views to America via Hollywood. The lunatics started running the asylum.